Marie-Aude Fouéré (ed. ), Mkuki na Nyota Publishers, Dar es Salaam (Tanzania), 2015, 340 p.
This edited volume is about the rekindled investment in the figure of the first president Julius K. Nyerere in contemporary Tanzania. 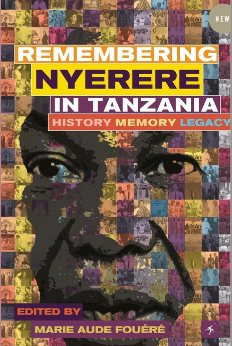 It explores how Nyerere is remembered by Tanzanians from different levels of society, in what ways and for what purposes. Looking into what Nyerere means and stands for today, it provides insight into the media, the political arena, poetry, the education sector, or street-corner talks. The main argument of this book is that Nyerere has become a widely shared political metaphor used to debate and contest conceptions of the Tanzanian nation and Tanzanian-ness. The state-citizens relationship, the moral standards for the exercise of power, and the contours of national sentiment are under scrutiny when the figure of Nyerere is mobilized today. Part 6 : Post-Mwalimu Education ?